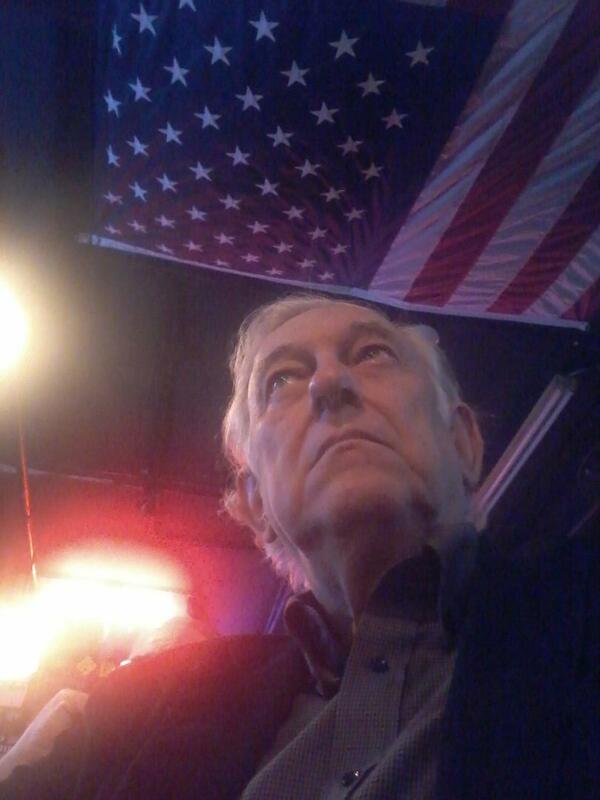 A Disgruntled Republican in Nashville: Report from the Davidson County Republican Party Convention. 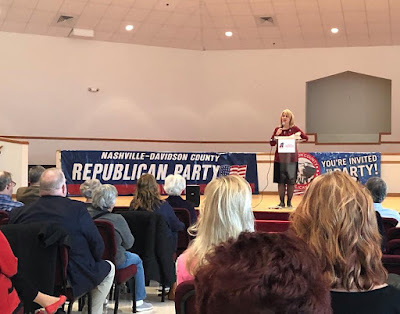 Report from the Davidson County Republican Party Convention. 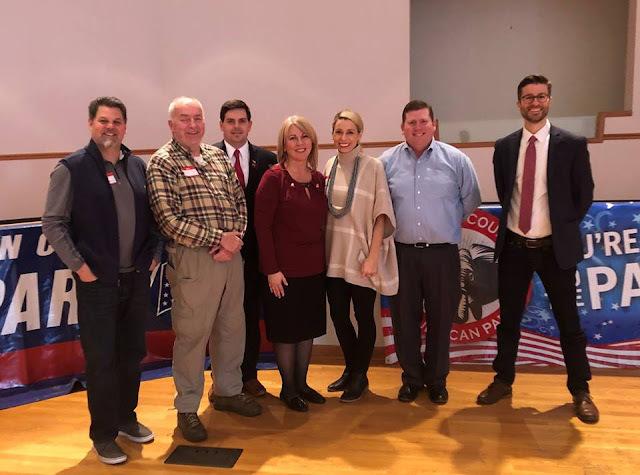 Davidson County Republican Party Executive Committee, left to right: Tim Herndon, Assistant Treasurer; 1st Vice-Chair Jim Garrett; 2nd Vice-Chair Chase Montgomery; Chairwomen Mellisa Smithson; Erin Rogus, Communications Secretary; John Shorter, Treasurer; and Mark Woodward, Recording Secretary. 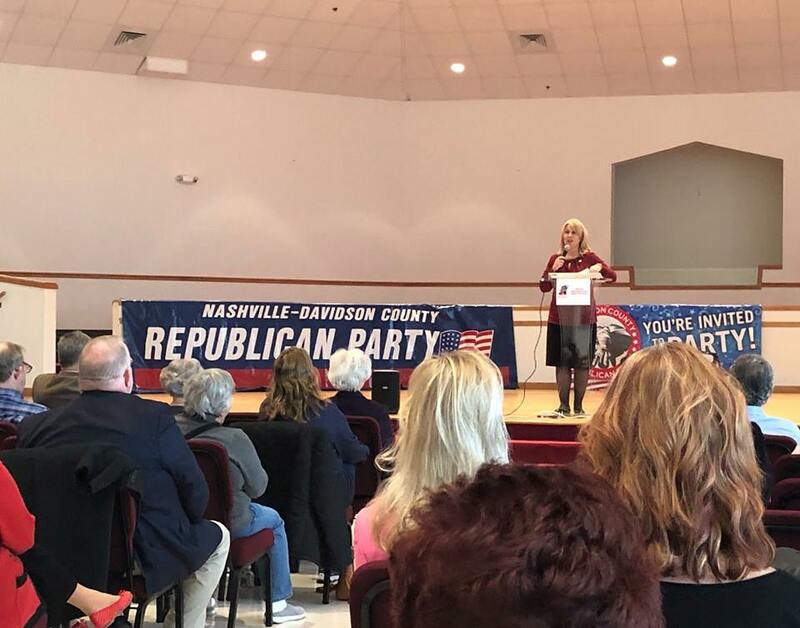 by Rod Williams - Over 100 Nashville Republicans came together to elect the next Davidson County county leadership team yesterday, Saturday Feb. 9th. They are pictured above. To all of those elected, "Congratulations," and thank you for your willingness to serve. The event was held at 1230 West Trinity Lane, a spacious meeting venue which was previously a church. Attendees had to preregister and the party reviewed the application to ensure they were really Republicans. When attendees arrived they had to show their identification and then were issue credentials. Doors opened at 9:30 and the meeting started at 10:30. I arrived about 9:50 and check-in was quick and easy so I had time to enjoy coffee and donuts and socialize. The meeting featured several speeches including comments from the head of the Election Commission who explained the structure of the Commission and who made a plea for Republicans to work as poll workers. We heard a passionate speech from Councilman Steve Glover urging Republicans to run for council and urging Republicans to support and help elect Republicans seeking those seats. Melissa Smithson spoke about the activities and successes of the Party in the last two years. Unfortunately I had to leave early shortly after the voting for Chair ended. I had a sitter for my wife Louella, who is an invalid, and I had not anticipated the meeting would last as long as it did and my sitter could not work past 12:30. I did not miss much however, but would have enjoyed some additional socializing after the meeting. I had anticipated that yesterday was the caucus and next weekend was the convention. That is the way it has worked in the past and I was unaware of changes that had been made that now made the convention a one-shot deal. The caucus is done away with. I approve of the changes. Under the old system, the county was divided into 35 separate groups corresponding to Council Districts. Each group was allotted a certain number of delegates based on a formula that gave more seats to those districts which voted more Republican. The problem with this is that in some districts people who wanted to participate in the convention were not permitted to. If a district was assigned ten seats and twelve people showed up to participate from that district, two could not. They could be alternates but could not vote at the convention. More often than too many people attending for the number of allotted seats, some districts did not have enough people attend to fill the number of seats the district was allotted. Another problem with the old system is that many people cannot give two Saturdays in a row to the Party. That was difficult for me due to my situations getting a caregiver for Louella. This new system is much better and simpler. If so many people wanted to participate that it was unmanageable, then the district caucus system would make sense, but that has ever been a problem. While Davidson County is predominantly Democratic, it is not a lost cause. We do have a Republican State senator and several representative districts in Nashville are competitive. It is important to hold the elective seats we have and to compete for those that are winnable. The Party also works on issues, such as saving the Fairground, opposing the Police Community Oversight Board, and opposing the transit referendum. The party also provides lots of workers for phone banks in national and state elections and helps Republicans running in other counties. And, the party works to identify and help Republicans seeking election to the non-partisan Metro Council. I wish the Party would find serious qualified candidates to run for some of he various court house offices and judgeships. Unfortunately, in Davidson County, the Democratic primary determines the outcome of the election of all courthouse offices and judicial seats. I don't know what it would take to change that and maybe it can't be changed anytime soon. Republicans are the minority in Nashville but we still need a strong party and need to keep fighting. To those willing to lead the Davidson County Republican Party, "Thank you."